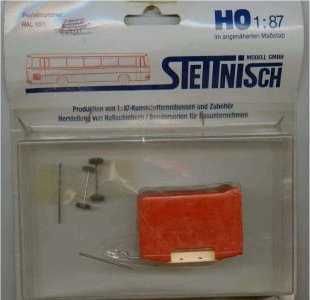 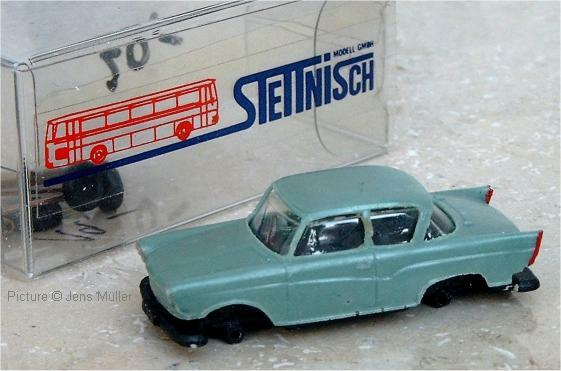 First presented in 1992, these resin kits were only available from Stettnisch directly for a short time, later on they appeared in the IMU catalogues (under the Stettnisch label, see IMU page) and after that Euromodel offered a very limited range. 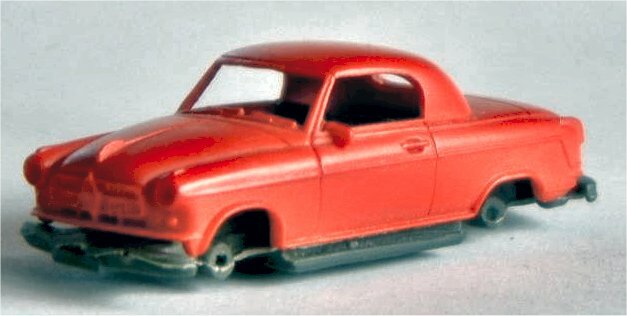 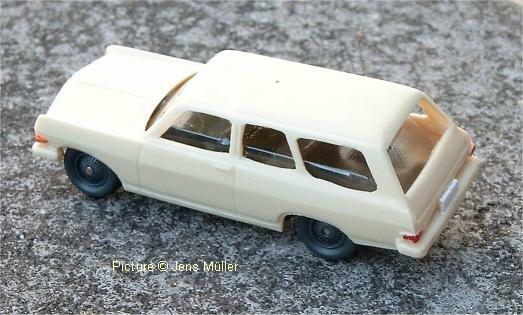 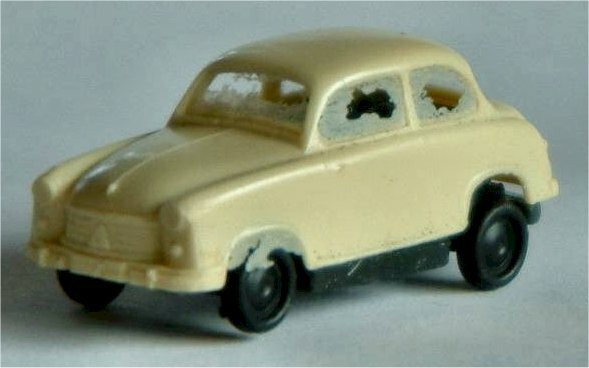 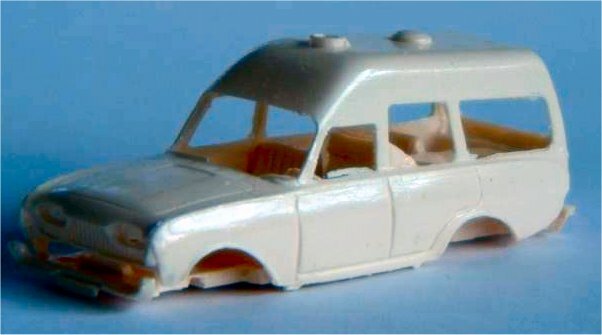 Several masters were made from old Wiking models. 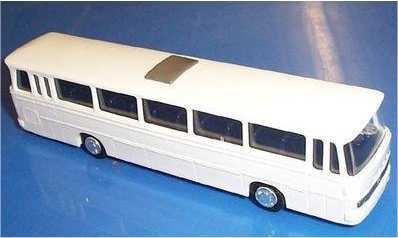 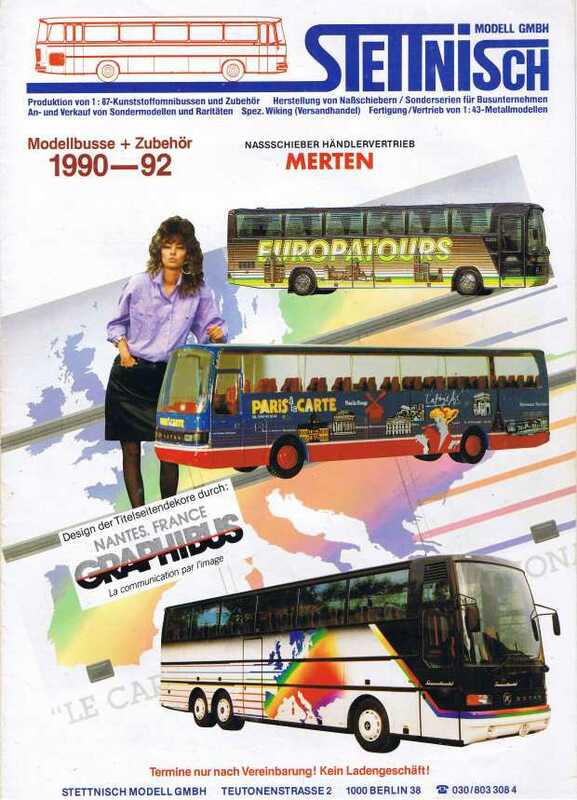 Most bus models were made of cast resin and offered both as kit and ready-made, some bus models (Setra S6, Setra S140ES) were injection moulded. 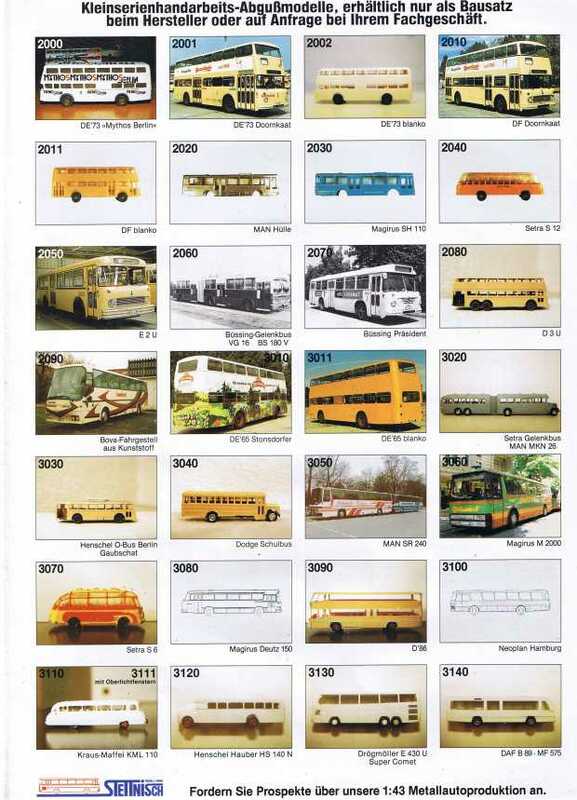 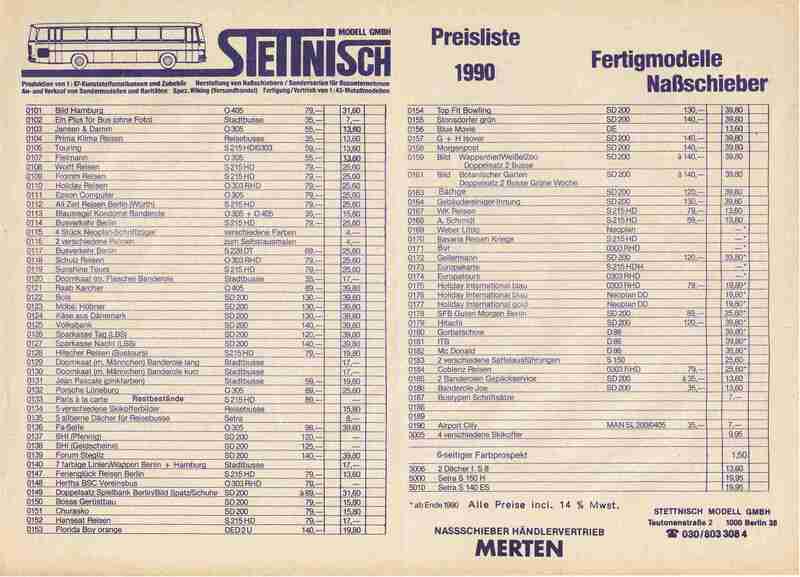 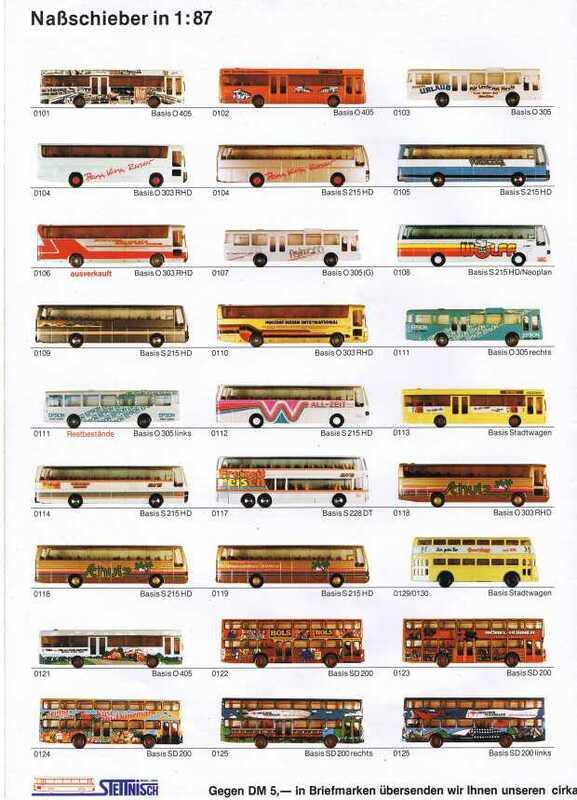 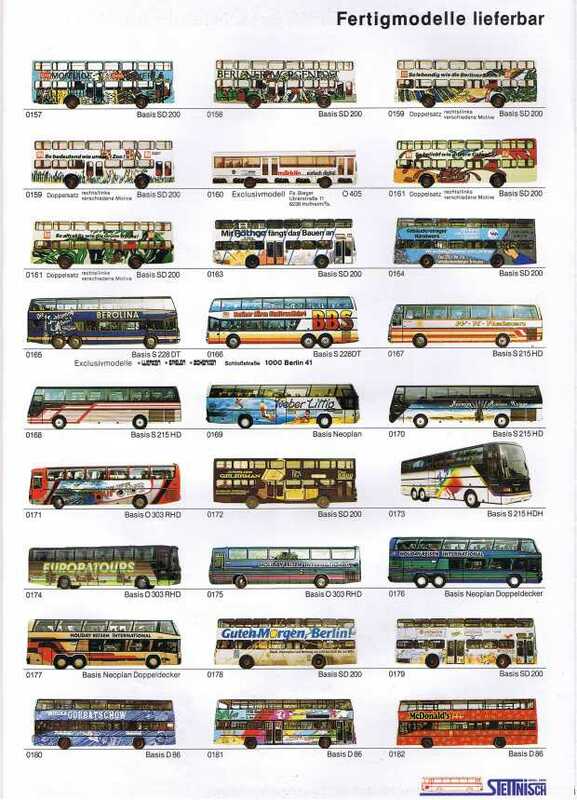 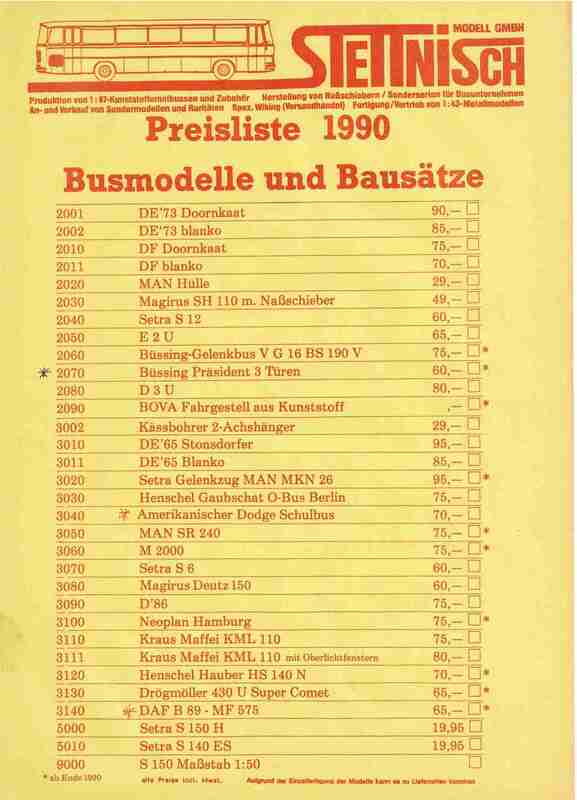 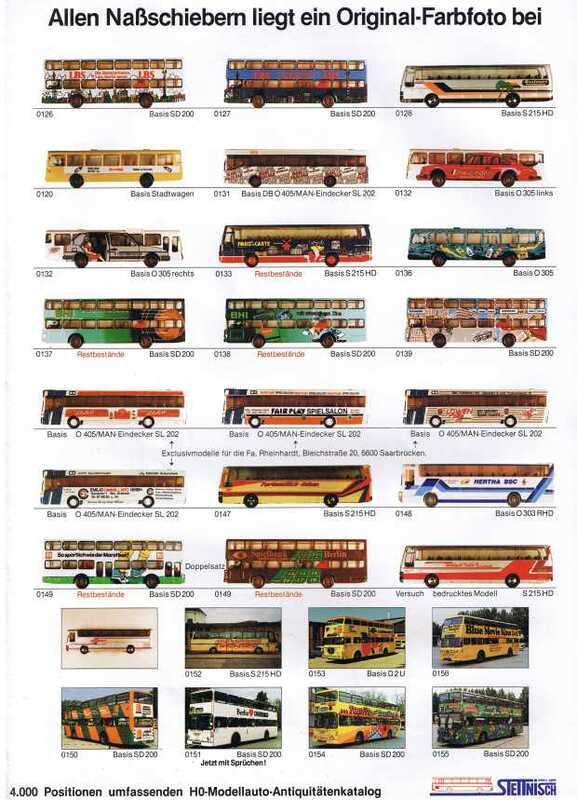 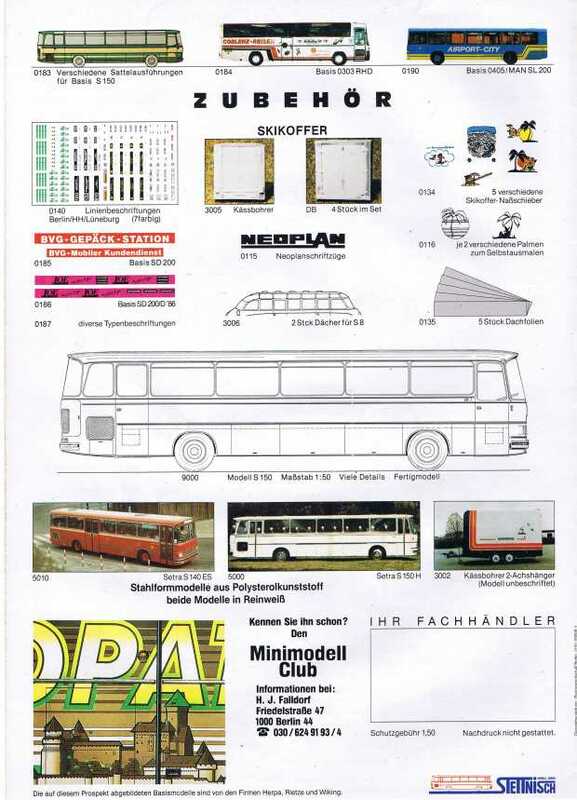 Besides the busmodels Stettnisch also offered accessories and a large line of decals for buses. 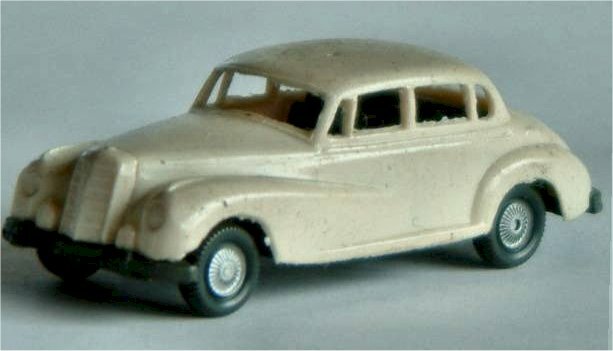 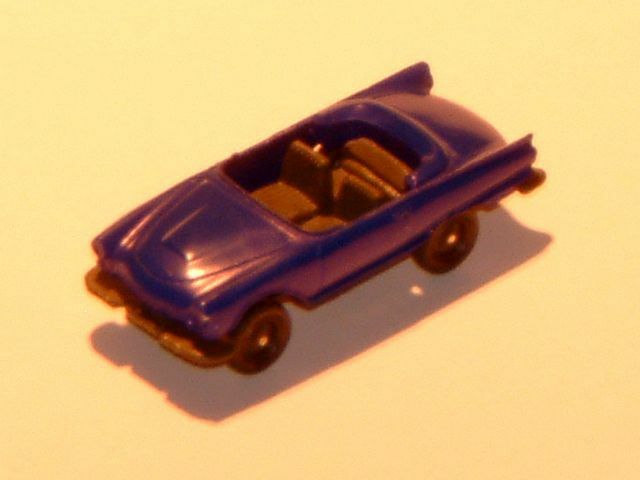 The decalsets were available seperately but it was also possible to buy a readily built and decaled model.